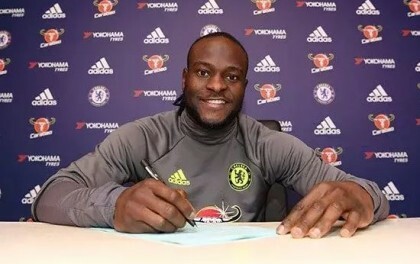 Chelsea wing-back and Nigeria Super Eagles forward, Victor Moses has signed a new deal with Chelsea and will earn seventy five (75,000) pounds per week. The 26-year-old agreed a two-year extension as a reward for his consistent displays which have seen him become integral to Antonio Conte’s team. The new contract with the club will take him through to 2021. 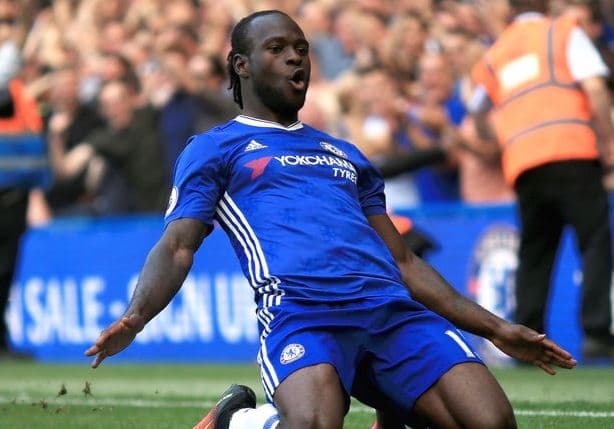 Moses landed in Stamford Bridge in 2012 but failed to secure a place in the first team until this season, having spent loan spells at Liverpool, Stoke City and West Ham. Now a regular starter under Antonio Conte, playing predominantly as a right-wing back, he has started 20 of the 25 Premier League games in which he has featured. The Nigeria international spoke of his delight at committing his future to the Stamford Bridge club after signing the extension. “I feel very excited. I’m delighted to be here for another few years now and to sign a new deal,” he told the club’s website. “Now it’s time to concentrate on the team and keep working hard to make sure we win games and try to win the Premier League this season. Moses has scored three league goals this term for Chelsea and is their most frequent crosser of the ball. His importance to the team prompted Conte to praise his “fantastic” quality this week. Table-toppers Chelsea, who beat Swansea City 3-1 in their most recent game, are currently 10 points clear of closest challengers Tottenham. They face West Ham on Monday.